Mississauga ON Dumpster Rental & Portable Toilet Rental Call 888-407-0181 or visit <a rel="nofollow" target="_blank" href="http://www.AWWaste.ca">http://www.AWWaste.ca</a> today & see why we're Canada's Best Family Owned Waste Company! Lowest Prices & Superior, Friendly Service are what set us apart from the rest! 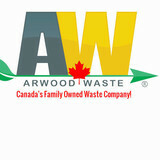 Brampton ON Dumpster Rental & Portable Toilet Rental Call 888-407-0181 or visit <a rel="nofollow" target="_blank" href="http://www.AWWaste.ca">http://www.AWWaste.ca</a> today & see why we're Canada's Best Family Owned Waste Company! Lowest Prices & Superior, Friendly Service are what set us apart from the rest! Hamilton ON Dumpster Rental & Portable Toilet Rental Call 888-407-0181 or visit <a rel="nofollow" target="_blank" href="http://www.AWWaste.ca">http://www.AWWaste.ca</a> today & see why we're Canada's Best Family Owned Waste Company! Lowest Prices & Superior, Friendly Service are what set us apart from the rest! Toronto ON Dumpster Rental & Portable Toilet Rental Call 888-407-0181 or visit <a rel="nofollow" target="_blank" href="http://www.AWWaste.ca">http://www.AWWaste.ca</a> today & see why we're Canada's Best Family Owned Waste Company! Lowest Prices & Superior, Friendly Service are what set us apart from the rest! Contact us today for a Free Estimate! Vaughan ON Dumpster Rental & Portable Toilet Rental Call 888-407-0181 or visit <a rel="nofollow" target="_blank" href="http://www.AWWaste.ca">http://www.AWWaste.ca</a> today & see why we're Canada's Best Family Owned Waste Company! Lowest Prices & Superior, Friendly Service are what set us apart from the rest! TechEcoHome provides quick and quality septic systems installation, maintenance, repair and replacement services. The best solution for rural households and businesses across Ontario! 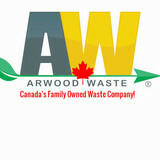 Guelph ON Dumpster Rental & Portable Toilet Rental Call 888-407-0181 or visit <a rel="nofollow" target="_blank" href="http://www.AWWaste.ca">http://www.AWWaste.ca</a> today & see why we're Canada's Best Family Owned Waste Company! Lowest Prices & Superior, Friendly Service are what set us apart from the rest! Cambridge ON Dumpster Rental & Portable Toilet Rental Call 888-407-0181 or visit <a rel="nofollow" target="_blank" href="http://www.AWWaste.ca">http://www.AWWaste.ca</a> today & see why we're Canada's Best Family Owned Waste Company! Lowest Prices & Superior, Friendly Service are what set us apart from the rest! Markham ON Dumpster Rental & Portable Toilet Rental Call 888-407-0181 or visit <a rel="nofollow" target="_blank" href="http://www.AWWaste.ca">http://www.AWWaste.ca</a> today & see why we're Canada's Best Family Owned Waste Company! Lowest Prices & Superior, Friendly Service are what set us apart from the rest! St. Catharine's ON Dumpster Rental & Portable Toilet Rental Call 888-407-0181 or visit <a rel="nofollow" target="_blank" href="http://www.AWWaste.ca">http://www.AWWaste.ca</a> today & see why we're Canada's Best Family Owned Waste Company! Lowest Prices & Superior, Friendly Service are what set us apart from the rest! Kitchener ON Dumpster Rental & Portable Toilet Rental Call 888-407-0181 or visit <a rel="nofollow" target="_blank" href="http://www.AWWaste.ca">http://www.AWWaste.ca</a> today & see why we're Canada's Best Family Owned Waste Company! Lowest Prices & Superior, Friendly Service are what set us apart from the rest! Brantford ON Dumpster Rental & Portable Toilet Rental Call 888-407-0181 or visit <a rel="nofollow" target="_blank" href="http://www.AWWaste.ca">http://www.AWWaste.ca</a> today & see why we're Canada's Best Family Owned Waste Company! Lowest Prices & Superior, Friendly Service are what set us apart from the rest! Waterloo ON Dumpster Rental & Portable Toilet Rental Call 888-407-0181 or visit <a rel="nofollow" target="_blank" href="http://www.AWWaste.ca">http://www.AWWaste.ca</a> today & see why we're Canada's Best Family Owned Waste Company! Lowest Prices & Superior, Friendly Service are what set us apart from the rest! Oshawa ON Dumpster Rental & Portable Toilet Rental Call 888-407-0181 or visit <a rel="nofollow" target="_blank" href="http://www.AWWaste.ca">http://www.AWWaste.ca</a> today & see why we're Canada's Best Family Owned Waste Company! Lowest Prices & Superior, Friendly Service are what set us apart from the rest! <a rel="nofollow" target="_blank" href="http://www.PortaLogix.com">http://www.PortaLogix.com</a> | 585-484-7009 | Putting Portable Restroom Companies on the road to success with our Revolutionary Portable Toilet Pump Truck. When it comes to increasing profits & your bottom line in the porta-potty business, One Truck Literally Does It All! We're proud to say we've changed the game in the Portable Toilet industry! At PortaLogix, we are passionate about the Portable Restroom business. We bring over 50 years of combined experience in the portable restroom industry and will get your company back in the black. You may have seen these well known Portable Toilet Companies using our revolutionary Portable Restroom Pump Truck by PortaLogix: Waste Management, Republic Services, United Site Services, Waste Pro, Rent-A-Jon, Potty Pros, Mr. John, Callahead, Rumpke, Advanced Disposal, Waste Connections, Casella Waste, Waste Industries, Progressive Waste Solutions, Rock-Tenn, WCI Waste, Hoving Recycling & Disposal, A Co Inc, A Royal Flush, Enviroclean, Tidy Toilets, A Modern Sanitation, A&A Portables, Anderson Rentals, Pit Stop, Chem-Can Services, Blu Jon Portables, Right Way Disposal, American Marborg Satliet Industries, Royal Restrooms, PolyJon, Five Peaks, Poly Portables Mr. John, United Site Services, Rent-A-Jon, Portable Restroom, Lakeshore recycling & more! Our Trucks are designed to get more done with one truck. Our unique, patent pending design allows you to carry more water and waste as well as execute your delivery and pick up needs. These trucks have been tested and proven to give you the ROI we all look for in the Portable Restroom industry. Our Team will guide you with logistical solutions and equipment that will improve your day to day operations and improve your bottom line. Call us today and speak directly with one of our representatives. Call: (585)484-7009. When it comes to septic tanks and systems, it’s pretty much never a DIY situation. A malfunctioning septic system can contaminate Oakville drinking water supplies and cause flooding, as well as create sewage backup and biohazardous situations. If you need a septic system installed, pumped or repaired, hiring a certified Oakville, ON septic professional is a no-brainer.